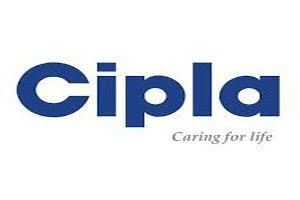 New Delhi: Drug major Cipla said it has received approval from competition watchdog CCI over the proposed investment by Mauritius-based FIL Capital Investments in its consumer healthcare business vertical. The Competition Commission of India has granted approval to the proposed investment by FIL Capital Investments (Mauritius) II Limited in Cipla Health Limited, subsidiary of the company, Cipla Ltd said in a regulatory filing. The order of the CCI will be sent to FIL Capital Investments (Mauritius) II Ltd subsequently, it added. The company however added that “the investment is still subject to, amongst other conditions precedent, approval from the Foreign Investment Promotion Board and the transfer of company’s consumer healthcare business to Cipla Health Ltd.
Last year the Mumbai-based drug maker had inked an investment agreement with FIL Capital Investments (Mauritius) II Limited for its consumer healthcare business. Through the consumer healthcare business, Cipla has entered the over-the-counter (OTC) healthcare market in India.